Mark joined Future Leaders International in October 2014. A Chartered Psychologist with the British Psychological Society, his experience spans Australasia, Europe and Asia. He has worked in both the public and private sectors and has held various roles in Talent Consulting and Human Resource Management. 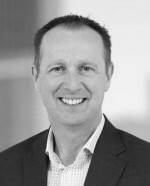 Prior to joining Future Leaders International, Mark’s most recent role was Head of Business Development for Europe for DDI, where he led a team of Global Account Managers and Consultants who designed talent solutions for large Multinational Companies such as Philips, BNP Paribas and Siemens and provided ongoing client management. Before this, from 2011-2013, he managed DDI’s operations in Singapore and Malaysia where he was privileged to work with major organizations including ST Engineering, Temasek and SingTel. Mark completed his studies in Psychology and Human Resource Management in Glasgow in 1988 before being awarded his Masters in Occupational Psychology in 1991 by the University of Sheffield in the UK. He began his career as an organizational psychologist with the UK’s Department of Employment before moving to Sydney as a Consultant with Morgan & Banks where he honed his experience in selection assessment. In 1996, he joined DDI as a Principal Consultant and Head of Assessment before moving into HR Management with Goodman Fielder, one of Australia’s largest FMCGs. He then ‘took the plunge’ and launched his own assessment and development business, CompAssess Business Psychologists. CompAssess grew quickly to become one of the most respected talent consulting firms in Australia with over 20 people and offices in Sydney, Melbourne, Brisbane and London as well as an impressive list of blue-chip clients that included ABN Amro, Citibank, PwC, DuPont, Nokia and Covidien. In 2008, CompAssess was acquired by Chandler Macleod, one of Australia’s largest recruitment, HR outsourcing and consulting organizations where Mark was appointed General Manager, Consulting for New South Wales and National Head of Talent Assessment and Selection. He continued his career with a ‘boomerang’ return to DDI in 2011, this time in Singapore. Mark is accredited and experienced in a range of personality assessment tools including the OPQ, WAVE Professional Styles and the Hogan Assessment Series. He is also a certified DDI facilitator. He is passionate about how assessment and development can play a pivotal role in helping organizations build their leadership bench strength and ensure a supply of the right talent at all levels across the leadership pipeline. He draws on his breadth and depth of international experience when consulting with organizations on their talent challenges. His experience has taught him to be flexible and pragmatic in his approach when designing and implementing talent solutions that deliver sustainable value to his clients.